A change to the treatment of publicly owned Technical and Further Education (TAFE) facilities has the potential to exacerbate existing problems in the Australian vocational education and training (VET) sector. The federal minister for industry, Ian Macfarlane, expressed concern that TAFE assets are underused. He signalled interest in following the Queensland government approach, which allows non-TAFE registered training organisations (RTOs) access to TAFE facilities for the delivery of training. To assess the implications, this idea needs to be seen in the context of the Australian VET sector. Major government reforms are reshaping the VET landscape. These include the allocation of government funding for non-TAFE training organisations and the more recent introduction of demand-driven funding models. Underpinning these reforms are some important assumptions. The main one is the view that a training market is the most efficient way of allocating scarce public resources. We do not have an unregulated market. Even the most laissez faire of Australian governments recognises the risk of market failure. The market solution is based on the assumption that individuals will make rational self-interested decisions about education and training. In other words, they will choose the education and training options that best meet their clearly articulated and understood needs. A large body of research in the field of behavioural economics challenges the view that we make decisions in this way. People are just not that well informed, either about the options available or their own best interests. The way a choice is framed has a significant impact. We are also much more sensitive to short-term losses than to long-term gains. Such findings are not predicted by the rational choice theory underpinning mainstream economics, which has considerable influence on the way Australian education policy is formulated. So how does this help us understand how prospective students will respond to the delivery of non-TAFE training at TAFE campuses? According to rational choice theory, people will make an informed choice that will be in their best interests. However, behavioural economics raise questions about our capacity to distinguish between a qualification offered by two different providers operating out of the same physical space. This is important because of the implications for the institutions delivering qualifications. In a training market, it is assumed that consumers focus on the training product or qualification. It is understood that the prestige of the provider may enhance or detract from the product’s appeal. However, little or no attention is paid to the institution as an entity with intrinsic value. Some non-TAFE training providers are institutionally shallow, emerging and disappearing in response to demand. The short-term training market does not adequately demonstrate nor necessarily reward institutional depth. Yet this depth is vital for developing shared expertise, knowledge, experience and structures that support robust vocational education. Not least of these structures is hard-won relationships with employers and industry, including the ability to provide quality industry-based training and assessment. 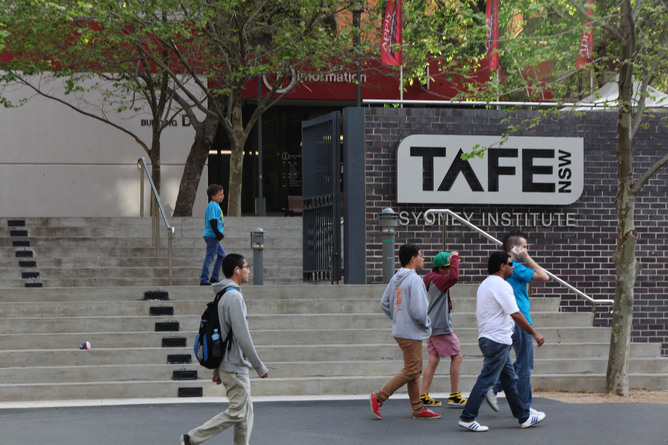 TAFE institutes usually have an established profile. A savvy non-TAFE RTO could potentially benefit from this. By using TAFE campuses and facilities, some non-TAFE providers may be able to convey an appearance of the institutional depth required for solid vocational courses. This may not be apparent to students. For at least some, the physical space where the program is delivered will trump any distinction between the education providers. If the training offered by both providers is of the same high quality, this will not matter, at least in the short term. Situations where there are clear differences in quality may result in the sullying of one institution’s reputation. The effect of the physical space will need to be considered when analysing perceptions of quality, training demand and whether a provider has met that demand. Increasing publicly available information about courses and providers will assist some individuals to make better decisions. However it will not be sufficient to radically alter the way we form preferences and make choices. Therefore, any policy that allows some providers to leverage the reputation of more established institutions risks exacerbating existing flaws in the vocational education market, especially the lack of consumer knowledge and short-term bias. This should concern reputable providers of all types. This article byy Mary Leahy, University of Melbournewas originally published on The Conversation.